The staff at West Linn Parks and Rec are planning ahead. They have winter break camps planned to keep kids active and occupied. Sign up now. If having the kids at home and at loose ends the entire winter break is just too much to contemplate, consider the camps and classes offered by West Linn Parks and Recreation. 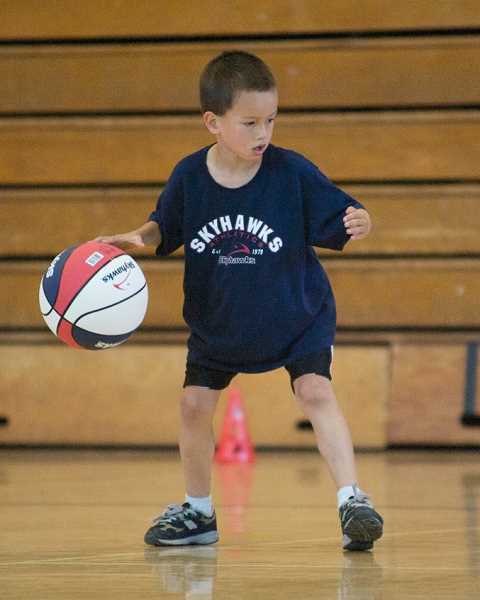 They have camps for children ages 6 through 12.
n Skyhawks Basketball Camp — For ages 6-12. Using their progressional curriculum and focusing on the whole player, Skyhawks' sport-specific staff will teach your child the skills needed to be a better athlete both on and off the court. Focus is on respect, teamwork and responsibility plus a Skill of the Day, drills and games, which make for an unforgettable camp experience. After a week of passing, shooting, dribbling and rebounding you will see why this is one of Skyhawks' most popular programs. Camp runs from 9 a.m. to 3 p.m. Dec. 31 through Jan. 4 (no camp Jan. 1) at Rosemont Ridge Middle School. The cost is $129 for residents and $134 for non-residents. n Skyhawks Volleyball Camp — For ages 6-12. Skyhawks Volleyball takes the energy and excitement of this great team sport and puts it all together into one fun-filled camp. All aspects of the game are taught through drills and exercises that focus on passing, setting, hitting and serving. This co-ed program is designed for the beginner to intermediate player and will incorporate essential life-lessons such as teamwork and sportsmanship. Skyhawks' volleyball staff will assist each athlete in developing the fundamental skills of the game through game-based drills and daily scrimmages aimed at developing the whole player. This camp is held from 9 a.m. to 3 p.m. Dec. 31 through Jan. 4 (no camp Jan. 1) at Rosemont Ridge Middle School. The cost is $129 for residents and $134 for non-residents. Register for Skyhawks camps online at skyhawks.com or through West Linn Parks and Rec registration system. n Holiday Y Chef — For ages 7-12. The holidays are filled with wonderful eats and treats. During this camp students will learn simple recipes that warm the heart and the stomach. Participants will bring home a cookbook and crafts. This cooking camp is at the Sunset Fire Hall from 9 a.m. to 3 p.m. Dec. 26 through 28. The cost is $143 for residents of West Linn and $148 for non-residents. n Lego Engineering Core Concepts — For ages 7-12, and not using just any Legos. Student engineers will build and experiment with simple machines and motors to build cars that move and much more. Lego camp is held at the Sunset Fire Hall from 9 a.m. to 3 p.m. Jan. 2 through 4. The cost is $143 for residents of West Linn and $148 for non-residents. Details on programs offered by West Linn Parks & Recreation can be found at westlinnoregon.gov/parksrec and in the Activities Guide. You may register by internet, mail, or drop-off at City Hall, 22500 Salamo Road. Call 503-557-4700 for more information. Terri Jones is a recreation coordinator for West Linn Parks and Recreation.